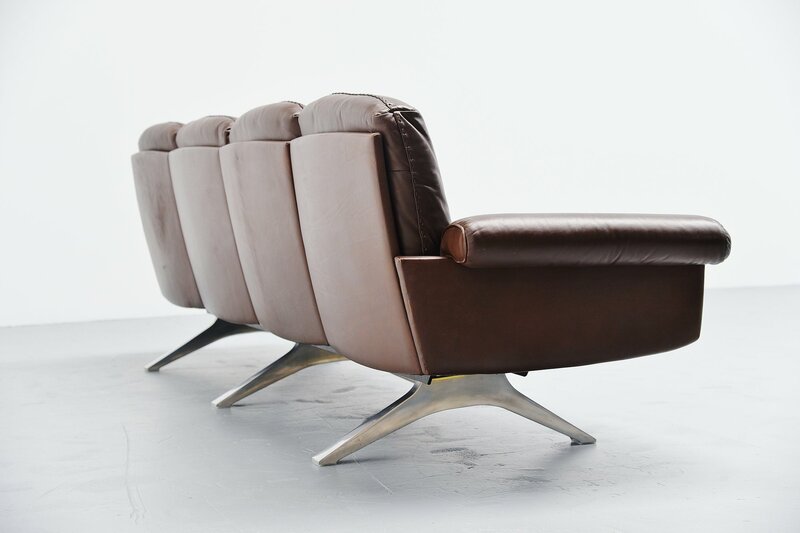 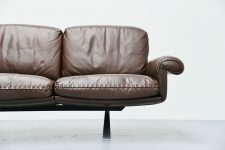 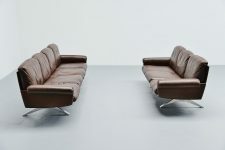 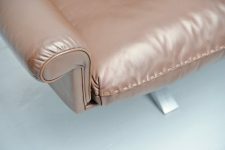 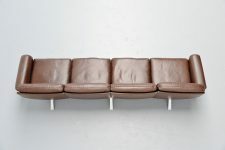 Dynamic lounge sofa designed and manufactured by De Sede, Switzerland 1970. 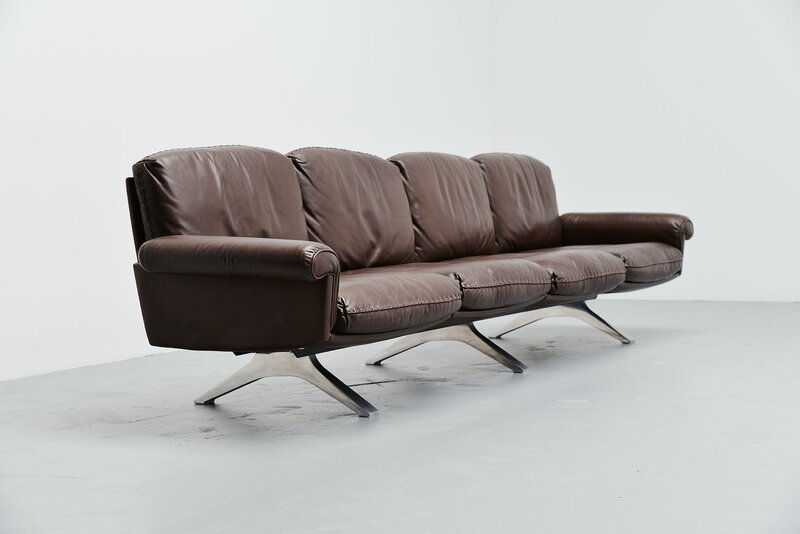 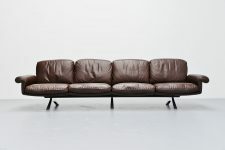 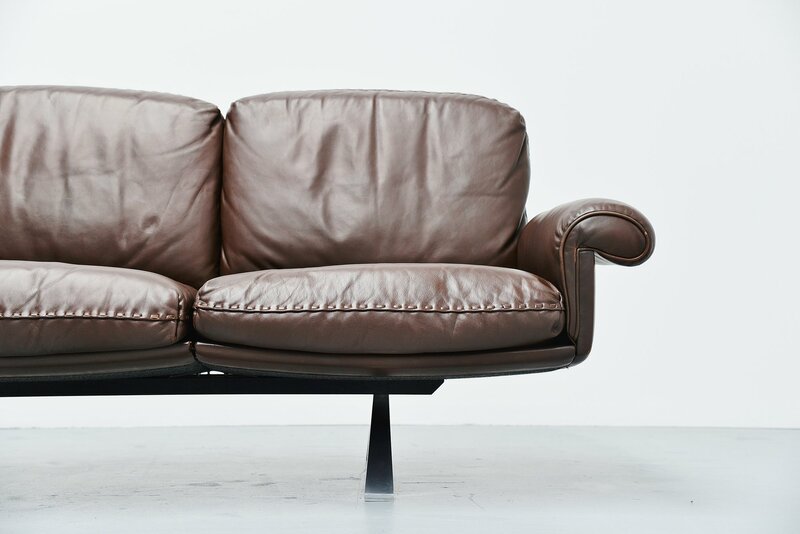 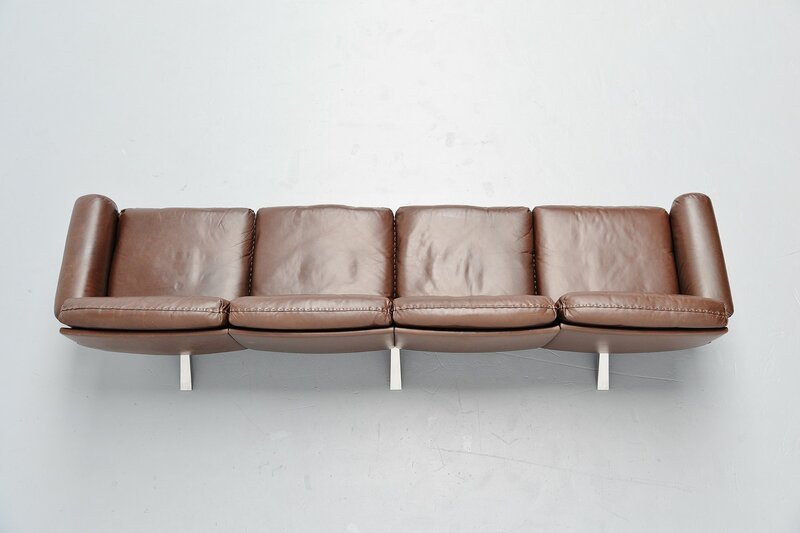 This sofa is model DS31/4 by De Sede and has chocolate brown leather seat with nicely stitched finished cushions. 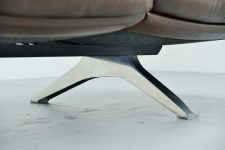 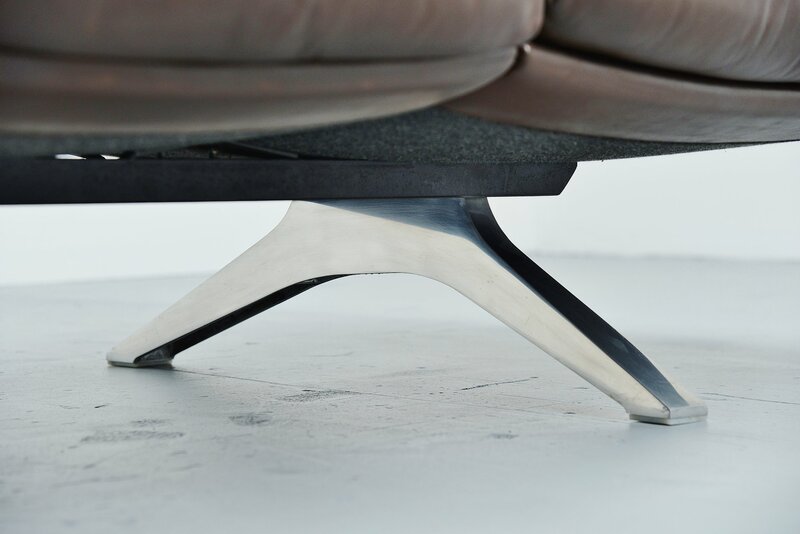 The legs are made of polished aluminum. De Sede is know by its quality leather and comfortable seating. 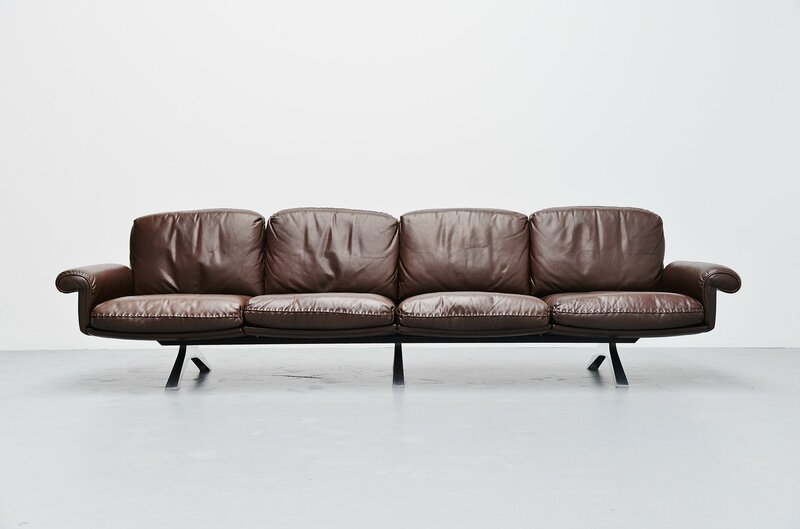 The sofa is in amazing original condition with hardly any wear from age and usage. 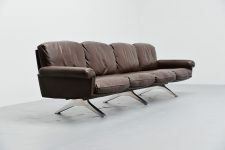 Have a look at the matching 3 seater sofa we have to match with this.